Eco Sustainable Projects, Environment Friendly Designs, Bio-degradable Products and More. Sustainable design, or green design, is a product or service that has been has been designed such that it has minimal negative impact on the global or local environment, community, society, or economy. Sustainable and green designs have the following factors: they incorporate principles of sustainability into each of its design decisions, they are environmentally friendly products or services that replaces demand for competing nongreen products and services, they are greener or healthier than traditional competition, the products and services are created via enduring commitment to environmental principles in their realization and operations. The Sustainable and Green Design Award, has been especially established to honor companies, institutions and designers who respect to the environment and who plan for a better future. The Sustainable and Green Design Award is open to submissions worldwide. The A' Design Green Design Award is the indicator of quality, perfection and environment friendlyness in design, the award is recognized worldwide and takes the attention of design oriented companies, professionals and green interest groups. Winning the A' Award is a certificate of excellence for designers, an important milestone in your career. For companies, winning the A' Green Design Award helps communicate the sustainable nature to the clients and consumers. Having the A' Award attracts the eyes of design oriented companies and green interest groups worldwide, winners will be able to find better and higher profile jobs & sales leads, get a step ahead in their life. The winners of the A' Green and Sustainable Design Award are provided extensive and exclusive marketing and communication services to promote the success of winning the A' Award. Furthermore, the winning designs and products are published as part of the A' best designs book which is available worldwide, this book is furthermore distributed to the high-profile magazine editors, design oriented companies and relevant parties. The winning designs are also exhibited at our exhibition in Italy, and the best designs will be picked for the permanent exhibition. The winners appear on magazines, newspapers, webzines and many other publishing mediums. For concept stage projects, the A' Award is an early indicator of success. 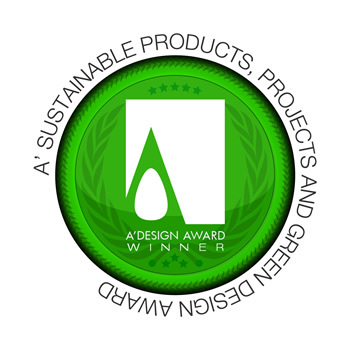 Different from other categories, the Green Design Award winners can additionally use the "Green A' Design Award Logo" (Traditional logo is red in color), without licensing fees. When submitting to the Sustainable Products, Prjects and Green Design Competition keep in mind that your submission will be evaluated especially on its green values: For this category, the jury panel will be looking for evidence that the concepts of sustainable design are embodied within the nominated projects; i.e. the jury members will check for design factors such as energy efficiency improvements, waste reduction, water use reduction, pollution reduction, improving the environment or improving employees' well-being, increased recyclability, reusability, easier maintenance and extended durability etc. To communicate the green aspects, a PDF document shall also be submitted which underlines such issues. The best green designs are considered for their degree of sustainability. Production efficiency, waste-reduction, and improvements in product life are considered along with overall aesthetics of submitted products and services. The Green Design Award has been conceived to attract the attention of green media, magazines, and industry leads to your business by means of creating publicity and dissemination. The Green Design Award aims to separate you from the rest of the actors in the industrial sectors by honoring your institution with a prestigious award that communicates your commitment to sustainable design. The sustainable design award takes place once a year. Applications are accepted online from A' Design Award & Competition Web. To apply for the current edition of the Sustainable & Green Design Award, click here. 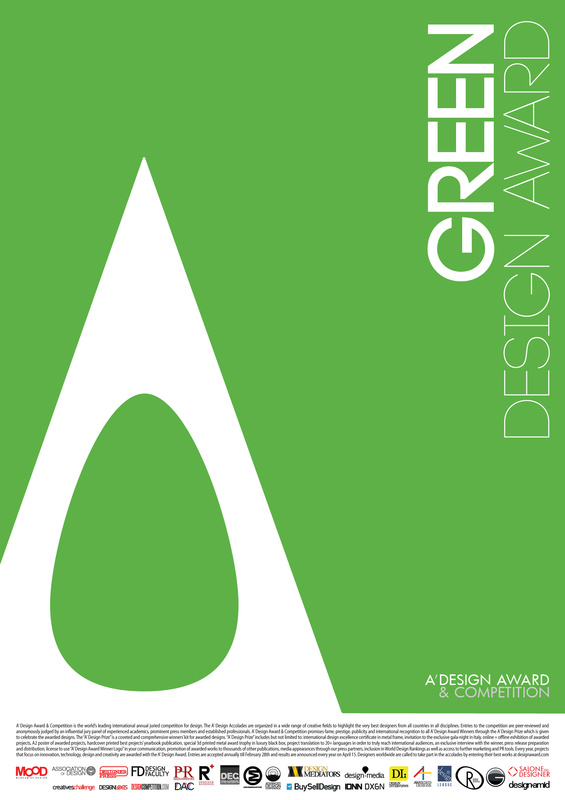 The Green Design Award submission requirements are given at the bottom of this page, please scroll down. Furthermore, please refer to general submission guidelines here. 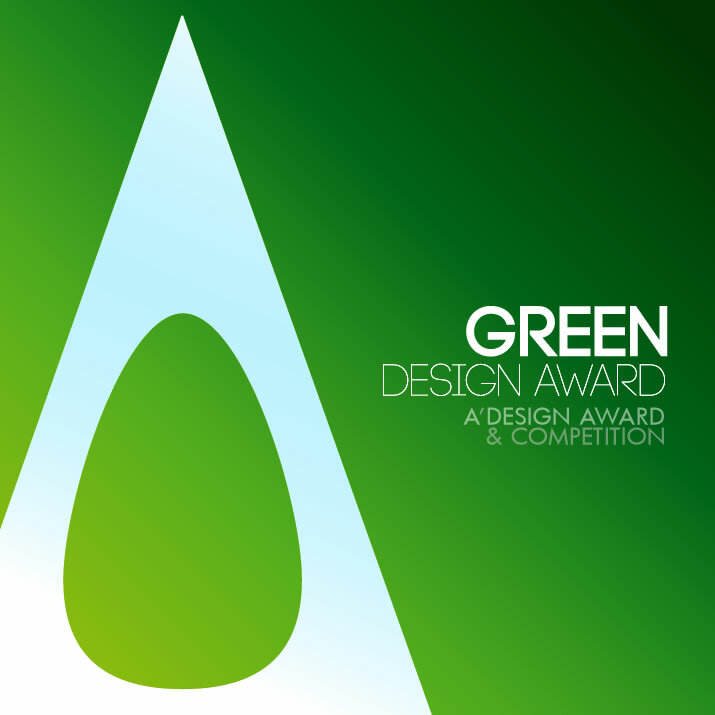 Award winners will be able to use a title that matches their nomination category: Such as "Green Design Award Winner". Green Design Award, Major Categories are as follows: Green Build Awards, Green Concept Awards, Green Media Awards, Green Product Awards, Green Service Awards, Green Transportation Awards, Green Urban Awards, Green Brand Awards, Green Material Awards. View previous period green design award winners here. Documentation* Max. 40 x A4 Pages PDF Explaining why your product, work or project is better in terms of sustainable design, how it is more environment friendly, green and how it is more sustainable when compared to competing products, works and services. 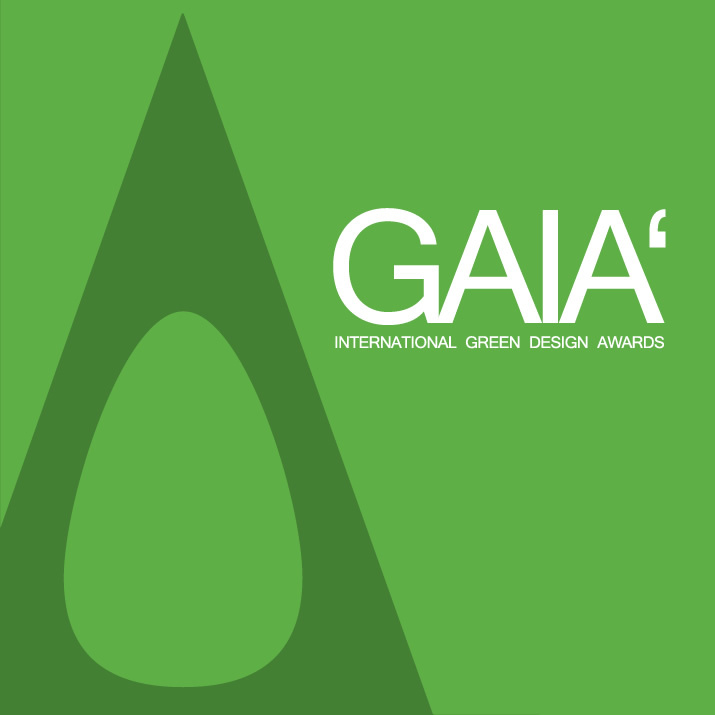 GAIA - The International Green Design Awards, is a major design award category part of A' Design Awards & Competitions. Enter your sustainable design projects for fame, prestige, publicity, credibility, and international recognition & awareness.